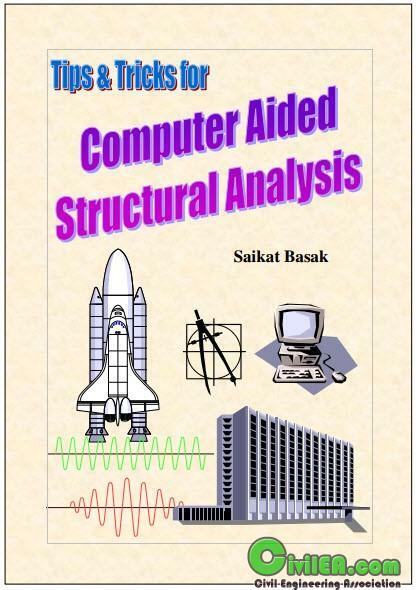 "In this book I shall tell you some practical tips for structural analysis using computer. Most structural engineering books are written to tell you how you will perform the calculation by hand. But even sometimes analysis using computer can be very tricky. You may need to manipulate computer input to solve a problem, which may at first appear to be unsolvable by that program. Finite element programs and structural analysis programs tend to be very expensive. Most small-scale engineering firms keep only one analysis program. Even for a large corporate companies it is seldom possible to maintain more than two standard analysis packages. Therefore it is essential that you use your present analysis program to its full extent. This is not a textbook. I make no attempt to teach you theory of structural analysis to score good marks in the exam! But it can help you to earn more money by enabling you to analyze some structures more easily and accurately, which you were previously thought too difficult to deal with your existing analysis program." Civil engineers are among the most fortunate of men since they build their own monuments with public consent, public approval and often public money.